Gov. Greg Abbott snatched the spotlight from his rivals with a long, long list of priorities for a special legislative session — one that takes care of must-do legislation and buries everything else. Gov. Greg Abbott’s call for a special July-August session gives you a clue — through the timing and the subject matter — as to what problem he hopes to solve. He wants to erase the notion — a popular idea in the Texas Capitol — that he’s not in charge. Abbott laid out a bewildering list of ideas for lawmakers to consider in a special session, but put his real emphasis on only one — unpassed legislation that would keep the Texas Medical Board and a handful of other agencies in business after the end of the current budget cycle. That effectively buries the priorities of his unofficial rival, Lt. Gov. Dan Patrick, who stalled that agency-preserving legislation in an effort to win passage of a couple of pet issues — a “bathroom bill” and restrictions on local property tax increases. And it puts Abbott back in charge. The regular session belonged, in large measure, to the lieutenant governor: He had an expansive agenda and his issues, for the most part, framed that 140-day venture. Now the agenda belongs to the governor again. Abbott’s focus is first on the thing that must be done; then and only then, he said, can lawmakers work on an astonishing, almost ridiculous (given the allotted time) avalanche of issues — including Patrick’s, somewhere in the pile — that he’s willing to add to the agenda. If the point of a special session is to reach agreement on something — property taxes, bathrooms, school finance, the issue of your choice — there’s no reason to start unless you can see the finish. That would be a good reason not to call a one-issue session on the bathroom bill, which stymied lawmakers earlier this year. That issue is on Abbott’s list, but it must compete with others in that unruly crowd of priorities. Instead of asking lawmakers for the agencies and nothing else, he offered them a shot at everything in the pantry in return for the only bills that have to pass. The timing of the special session isn’t surprising. It gives lawmakers six weeks to chill out, but it will take place as they are raising political money and making their calculations for the coming electoral season. The session, running from mid-July to mid-August, would end before the new fiscal year starts on Sept. 1 and comes in time to endanger incumbents and embolden challengers. Candidates will file for the 2018 elections from Nov. 11 to Dec. 11, presumably taking the results of the regular and special sessions into account. The primaries are on March 6 of next year. The surest outcome in bringing the Legislature to Austin on so many issues will be to draw distinctions — to show who’s on what side. That can be politically useful entering an election year. But if you’re looking for policy solutions — for new laws, for remedies to problems, for tax relief — it’s not a formula for success. Some of these things might never come to a vote. Having this many issues in one month would press even a cooperative Legislature, and the 85th hasn’t exhibited many signs of collaborative harmony. Texas lawmakers left Austin last month in foul humor. That last day, with its pushing and shoving among some of the men on the House floor, was no “Come, let us reason together” celebration. This all started with the Senate’s hostage-taking, with Patrick’s promise to stall must-pass bills to force votes on restroom restrictions for transgender Texans and on local governments’ ability to raise property taxes without voter approval. He didn’t win on either issue — and he engineered the failure of legislation that would have kept the Texas Medical Board and other agencies operating through the state’s next two-year budget. Abbott was stuck. He had to call lawmakers back to keep those agencies open. Calling lawmakers back always opens the window for supplicants inside and outside the Legislature who didn’t get what they wanted out of the just-ended regular session. 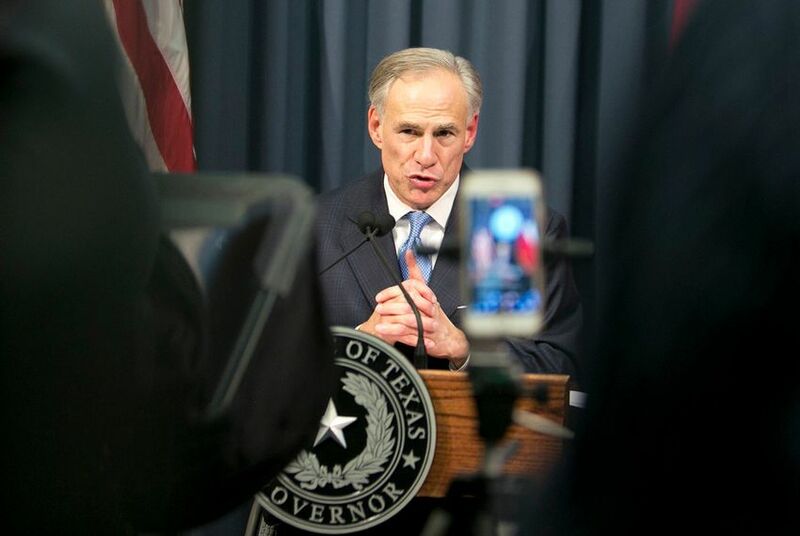 Since lawmakers unclenched their fists and went home on Memorial Day, Abbott has heard calls for special session consideration of restrooms, property taxes, annexation laws, redistricting and even the things that made his list. He could have stopped his special session call at the agency bills, doing what’s compulsory and leaving the discretionary issues to the 86th Legislature that convenes in 2019. It would only take a couple of days. Everything else requires prep work. The bathroom issue has been in public political discussion for a year. Conservative voters and businesses are split, and the Republican majority in the Legislature is split, too. Importantly, Patrick and House Speaker Joe Straus disagree on it, and nobody from Abbott on down the line was able to reconcile their views before the end of the regular session. In fact, if you rank the potential special-session subjects in order of their likely success, Patrick’s top issue — the bathroom bill — sits solidly in last place. The sunset bills that would rescue those state agencies are comparatively easy. They’ll have 30 days for all of that, and they can’t start until that “sunset” legislation has passed. It’s almost a guarantee that some of those ideas will wither on the vine — and it gives both the House and the Senate ample opportunity to starve legislation they don’t like. That might be generous: It’s an awfully long list.